When we say that we cannot find God and that He seems so far away, we mean only that we cannot feel His presence. I have before observed that many people do not distinguish between God and the feeling of God, between faith and the feeling of faith, which is a very great defect. It seems to them that when they do not feel God, they are not in His presence, which is a mistake. A person who was about to suffer martyrdom for God and yet did not actually think of Him, but rather of his pain, although the feeling of faith may be wanting, yet does not fail to merit because of his first resolution, and makes an act of great love. There is a difference between being in the presence of God and having the feeling of His presence. God alone can give us the latter; as to my giving you the means of acquiring this sentiment, it is an impossibility. In short, if you ask me “What can I do to acquire the love of God?” I answer, “By willing to love Him.” And instead of setting to work to try to find out how you can unite your soul to God, put the thing in practice by a continual application of your mind to Him, and I assure you that you will arrive much more quickly at your object by this means than by any other. For the more we pour ourselves out, the less recollected we shall be, and the less capable of union with the divine Majesty, who wishes to have all we are without reserve. One actually finds souls who are so busy in thinking how they shall do a thing that they have no time to do it; and yet, in what concerns our perfection, which consists in the union of our soul with the divine Goodness, there is no question of knowing much, but of doing. 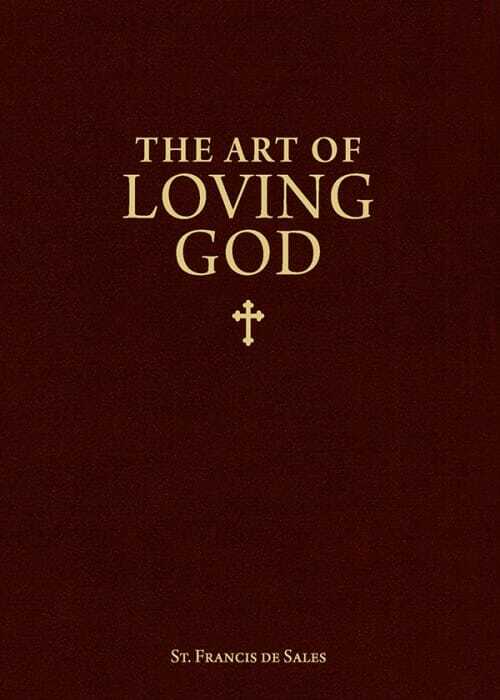 This article is from The Art of Loving God. It seems to me that those of whom we ask the road to Heaven are very right in answering us like those who tell us that, in order to reach such a place, we must just go on putting one foot before the other, and that by this means, we shall arrive where we desire. Keep walking, we say to these souls so desirous of their perfection, walking the way of your vocation with simplicity, more intent on doing than on desiring; that is the shortest road. But here I perceive a little artifice that you must allow me to reveal to you, without your being offended. You want me to teach you a sort of ready-made way of perfection, one that you have only to put your head into it, or put it on like a dress, and thus be perfect, without taking any trouble. You want me, I say, to give you a ready-made perfection, for what I tell you must be done is not pleasing to nature; it is not what we want. Certainly, if that were in my power I should be the most perfect man in the world; for if I could give perfection to others without their having to do anything, I assure you that I should take it first of all for myself! You fancy that perfection is an art of which, if you can only discover the secret, you will instantly obtain possession, without any trouble. Certainly this is a great mistake, for, in aspiring to union with the Beloved, there is no other secret than to do what we aspire to — that is, to labor faithfully in the exercise of divine love. I wish you, however, to observe that when I say we must do this, I am always referring to the superior part of our soul, for as regards all the feelings of repugnance in the inferior part, we must pay no more heed to them than passersby do to the dogs they hear barking in the distance. Those who at a banquet try every dish, eating a little of each, so disorder their stomachs that they cannot sleep, and pass the night with the usual consequences of indigestion. Editor’s note: This article is from St. Francis de Sales’ The Art of Loving God, which is available from Sophia Institute Press. St. Francis de Sales (1567–1622), bishop, Doctor of the Church, and patron of writers, was ordained a priest in 1593. He was elected bishop of Geneva in 1602. With Jane Frances Frémyot, Baroness de Chantal, St. Francis founded the Visitation of Holy Mary in Annecy in Savoy. He died of a cerebral hemorrhage in Lyons, France, on December 28, 1622. St. Francis de Sales was canonized in 1665.